As we discussed in the previous piece, plastic is so engrained in our lives and in the modern global economy, that it seems impossible to imagine a modern world without it. But we can, and in fact we must, if we are to avoid some of the catastrophic damage that lays ahead due to our excessive plastic use and wastage. So, how can we reduce our reliance on plastic- what is the Plastic Resolution? Firstly, we can establish that change has to happen on multiple levels of society. We can broadly categorise these into three: the individual, the business, and the government. Secondly, we must understand that plastic will not go away tomorrow. As it has taken decades and decades for plastic to find its way into mass usage, it is likely to take even longer to find substitutes for all the various plastics we use for different purposes. But every effort has to start somewhere! To start the war against plastic, it's most important to approach and resolve the most frequent offender- single use plastics. As the name suggests, these are plastics which are simply used once and then are disposed. Single use plastics are what comes to the minds of most when we envisage the harm caused by plastics to wildlife. We all have heard of plastic soft drink bottles piling up in our seas, animals dying after mistaking plastic bags for food, or getting trapped in plastic packaging. Single use plastics are so dangerous to the environment in large part because there is such high demand for them. Every time you get a coffee to go, every time you go shopping, every time you buy a bottle of water, another single use plastic is added to the wastepile after you finish. The British government has already begun to take on single use plastics. 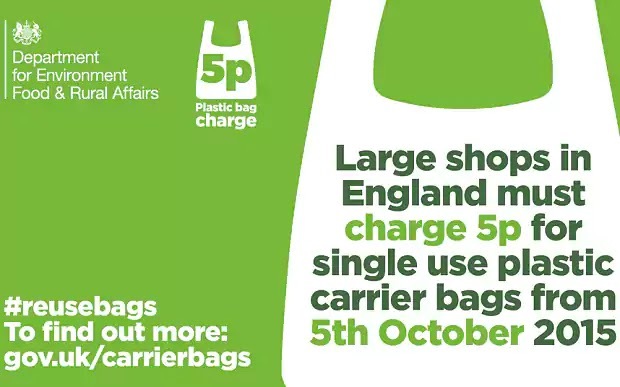 The 5p minimum charge for plastic bags introduced in 2015 was designed to encourage shoppers to use reusable bagging, and it saw dramatic success-with an estimated 83% reduction in plastic bags issued by the country's biggest retailers. The government will be extending this charge to include small businesses this year. Further legislation was also put in place in January 2018, including a ban on the use of microbeads in cosmetic products. While such actions are indeed crucial steps for the governments of the world to take, many argue further can be done by the government, specifically to influence business behaviour. Some believe the stick approach works best- for example, making businesses pay for the recycling of the plastic packaging they sell. Others argue for the carrot- a more incentives-based approach. This could mean a policy like setting targets for businesses to reduce plastic waste, and rewarding them appropriately. However, without research and development, businesses could be left with no choice but to continue using harmful plastics. With its unique properties and versatility, there's a reason why plastic is so commonly used in products- and to find equally cost effective and versatile substitutes is no easy task. There is a strong argument that businesses should bring back materials previously used- such as glass for soft drinks, paper for grocery bags, or steel for cups. While such materials may well see a comeback, they have their foibles- and to find a substitute for plastic that keeps all its benefits, a lot of research and development will need to be done. This will need to be supported by the government, but equally businesses are responsible for funding and supporting such activities. So we've now moved onto business- what can business do to reduce plastic waste? This is a complex question; specifically because for most businesses, plastic is the most cost-effective material for packaging. Thus, investing potentially considerable resources into finding an alternative will not be an appealing prospect from a strictly financial perspective. This is when Corporate Social Responsibility (CSR for short) comes into play. As entities that both give and take to society, businesses must accept the role they have played in creating the current chaos (with relative innocence, it can be argued), but more importantly accept the role they now have to help society fix those problems- by investing in finding alternatives to plastic. This may not be a profit-driven decision (though it could well be, as we'll explore shortly), but it is one that is crucial for our society's resolution to the plastic problem. The government, through offering financial incentives for environmentally friendly behaviour, can ease this transition for businesses. However, the primary customers of most businesses are ultimately us- the end individuals, as consumers. Therefore it is imperative that we as individuals are careful about what we consume. We should avoid single use plastics- and the best way to do this is to reuse. Get a reusable coffee cup, get a reusable solid liquid container, get a reusable bag, and make sure you recycle whatever plastic you can't substitute. Even something as small as buying a bigger plastic tub of yoghurt rather than several small tubs can help- as buying in bulk generally reduces the packaging-to-content ratio. And when businesses aren't conscious about minimising their plastic waste, we should be conscious not to award them our business. As consumers we often forget our power, when we act in unison. Businesses acting irresponsibly should be punished for their failure to serve the environment, and businesses doing their bit should be rewarded. This serves a similar purpose to financial services offered by the government to businesses; it makes it easier and more financially appealing for businesses to minimise plastic waste. However, it is often easier said than done to be entirely conscious about your plastic usage as an individual. 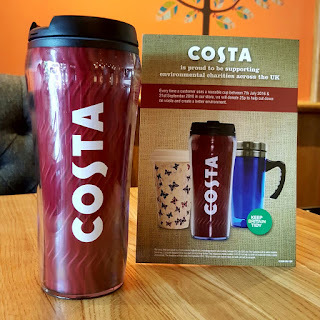 The large majority of people still use single use coffee cups, for example. Here, businesses can help us to behave more responsible. For example, reward schemes for using a reusable coffee cups are standard across many major coffee shops in the UK, and you can get supermarket loyalty points for reusing any carrier bags. These things make it more appealing and easy for us as consumers to avoid plastic, or at least use it responsibly. 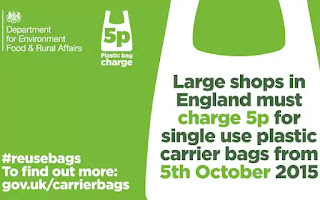 At the same time, government policies such as the 5p plastic bag charge push us to be more considerate. Single use plastics remain the primary issue the world needs to tackle; once we are able to confront this, the battle for a future less clogged with plastic bottles is half-won, and we can perhaps continue to look at phasing out plastic entirely. The fact is that the main onus is on businesses, as the primary producers of these plastic products, to reduce plastic waste. And of these businesses, the largest and most influencial hold the most responsibility. Once a company like 'Coca-Cola' takes a clear stance against plastic waste, for example by replacing all plastic bottles with glass bottles, the industry will be sure to react. The government, and we as consuming individuals, need to do our best to foster the conditions in which such a decision might be made. The fight against plastic waste is a classic example of how the government, businesses and individuals can, and must, all interact as members of society to incentivise each other to behave better. By each accepting their responsibilities and burdens, the unity of these three groups has the long-term potential to create our Plastic Resolution.